Stockholm Lakeland Canoe Explorer is the ideal canoeing holiday for adults or families who would like to explore this beautiful area on a self-guided canoe tour combining the adventure of point-to-point canoeing with the added convenience and reduced level of challenge, with luggage transfer and comfortable accommodation along the route. Beginning from Stockholm, you travel by steamboat to the beautiful waterside town of Mariefred before starting your canoe tour. Paddle distances are around 13km-17km each day, with occasional land transports required (a canoe trolley is provided), taking you through the scenic lake system of Marviken to end your tour in the lovely coastal town of Trosa before returning to Stockholm. 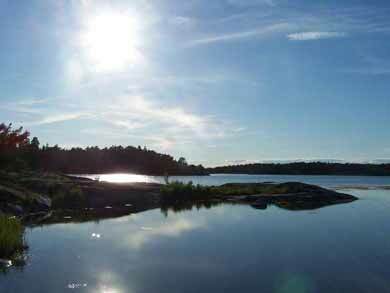 Trosa and Mariefred are two of the lovely coastal locations you visit during the tour. Photo: Laura Mitchell. Your luggage will be transported between the overnight stops, leaving you free to maximise your enjoyment of your paddle experience in this stunning lakeland landscape. For three nights of the tour, overnights are in hostel standard or bed and breakfast standard accommodation, and to add to the adventure the canoe tour also features one night camping (your tent will be set up for you when you arrive and all camping equipment is provided). Your luggage is transferred between overnight spots, leaving you free to travel light. Photo: Laura Mitchell. With breakfast each morning as well as picnic lunches and dinner on some days included, Stockholm Lakeland Canoe Explorer offers a relaxing canoeing experience for couples seeking an active but romantic getaway break or families introducing their children to the excitement and adventure of a multi-day trip in the outdoors. As your itinerary begins and ends in Stockholm, this is also the perfect option for a tour with minimal travel time or those who wish to spend some additional days exploring Stockholm city before and/or after the canoe trip. You will be met at your accommodation in Stockholm in the evening before your experience begins (at 18.30 unless otherwise arranged), where you will receive information pack and briefing for your tour. 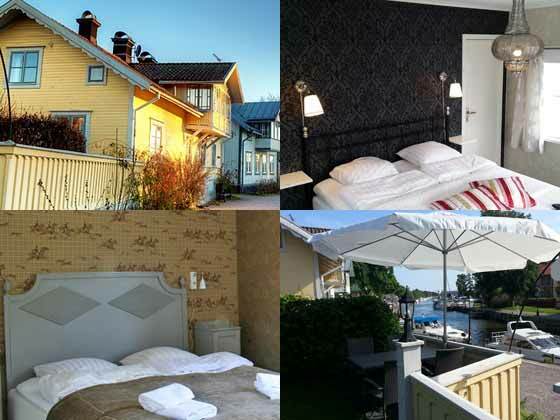 NB: For this experience it is necessary to overnight in Stockholm before and also normally after your tour. 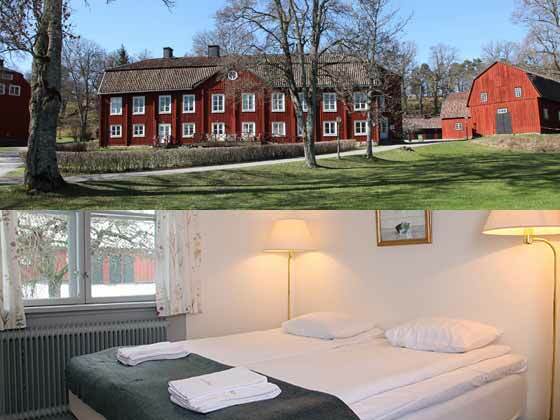 Please provide details of your accommodation in Stockholm before the tour in advance. Suggestions for accommodation are available on request. Depending on the location of your accommodation before the tour, you will either be met at your accommodation or asked to meet at suitable rendezvous point in town. 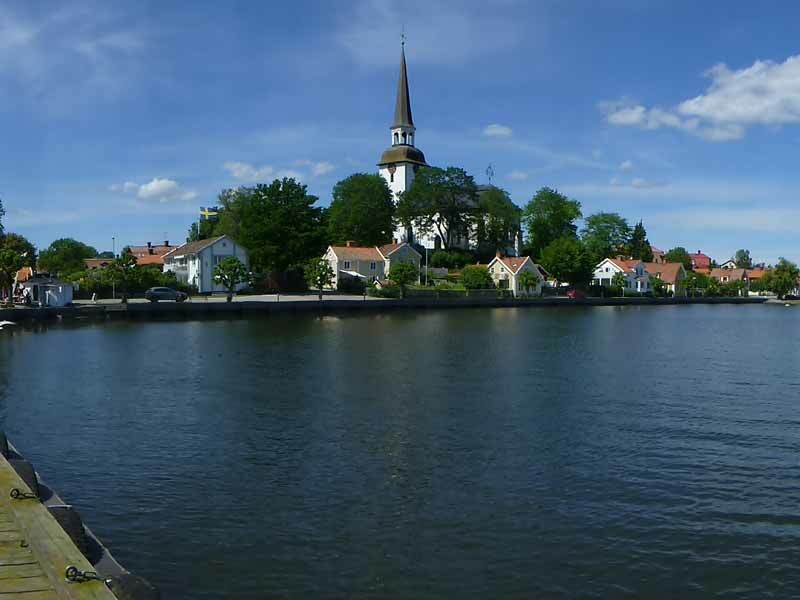 From Stockholm you travel by steamboat across Lake Mälaren in the morning to the picturesque town of Mariefred. Nearby lies the lovely Gripsholm's Castle, well worth a visit in the afternoon. Accommodation: bed and breakfast accommodation in Mariefred (shared WC/shower); Meals: none. You will be transferred from Mariefred to the start point for your canoe tour at Åkers Styckebruk, where you will collect your canoe equipment. Your day's canoe tour takes you through the scenic lake system of Marviken to Lake Klämmingen, where you camp for the night (tent will be erected for you and ready on arrival). NB: Please pack an overnight bag for this camping night before pick-up. Arrangements for transferring the remainder of your luggage will be explained by your local host on arrival. Accommodation: camping (tent will be erected for you) at small campsite in attractive, quiet location, outside dry toilet available (no shower); Meals: breakfast, picnic lunch and dinner (provisions are provided for you to cook over open fire at the campsite - all cooking equipment is included); Paddling distance: 13km (four land transports required, 40m, 50m, 20m and 300m). Your paddle tour continues, taking you to Lake Sillen, where you have accommodation for the night in a farmhouse just outside Gnesta. Accommodation: B&B in farmhouse or adjacent building, shared WC/shower; Meals: breakfast, picnic lunch and dinner; Paddling distance: approx. 17km (one land transport required, approx. 900m). 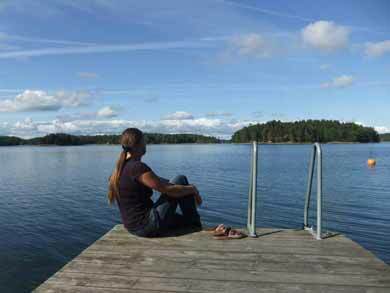 You leave Lake Sillen to paddle down the Trosa Ån river towards the atmospheric coastal town of Trosa, known as "The World's End", where your canoe tour ends. Trosa is a very attractive town and you have the day free to discover some of its cosy streets and shops. Bus tickets for local bus travel are provided, and return time to Stockholm is flexible depending on how you wish to spend the day. Possible start dates can sometimes be subject to variation depending on timetables for public boat services. Tours on dates slightly earlier and later those given below may also be possible by arrangement - please contact us to discuss your requirements. Start Saturday end Wednesday weekly from 18.05-07.09.19 (last start 7th September). With one child: Child will share room in overnight accommodation with parents and family will paddle 3 persons in one canoe during canoe activity. With two children: Children will have accommodation in separate rooms on some nights and share room with parents on others. With three children: Children will have accommodation in separate rooms on some nights and share room with parents on others. Single supplement: Adult in odd-numbered group will have single room at accommodation but share tent when camping and share canoe during canoe activity. Single supplement for adults in even-numbered group wishing to have single accommodation includes separate tents when camping. NB: Please note that accommodation upgrades must be decided at time of booking and cannot be subsequently amended. 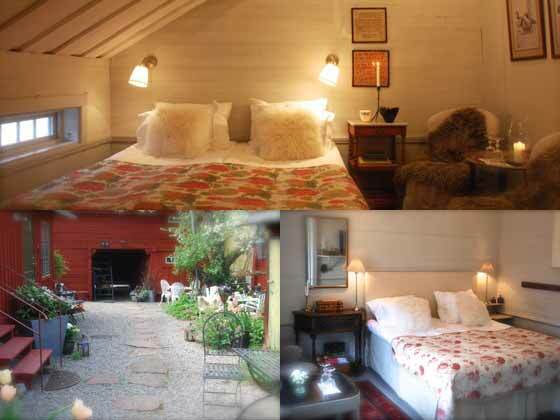 Mariefred (Day 1): Bed and breakfast in early 19th Century traditional wooden house close to central square, church and Gripsholm's Castle. Four en-suite double rooms around an attractive courtyard. Trosa (Day 4): Upgrade accommodation (see images below) in small, cosy guest house with all rooms unique and en-suite, some parts dating from early 18th Century. Attractive breakfast room and lovely garden with apple trees by river edge. Accommodation: See images below. Two nights in hostel standard accommodation; one night in bed and breakfast accommodation; one night camping (all camping equipment is provided). Meals (as per itinerary): 4 x breakfast, 3 x picnic lunch, 2 x dinner (for dinner at campsite, provisions are provided to prepare over open fire - all kitchen equipment is included). Additional meals are available to purchase locally. Equipment: Canoe equipment including canoes, paddles, buoyancy aids and canoe trolley to assist with land transports. Canoes are 2-3 person Canadian canoes. Transfers: Chosen accommodation in Stockholm to Stockholm harbour (Day 1); steamboat Stockholm-Mariefred (Day 1); Mariefred harbour - accommodation (Day 1); Mariefred - Åkers Styckebruk (Day 2); bus tickets provided for Trosa - Liljeholmen (Stockholm) and underground ticket for Liljeholmen - your chosen accommodation in Stockholm (Day 5). Luggage Tranfers: Stockholm to Mariefred (Day 1); Mariefred - campsite at Lake Klämmingen (Day 2); Lake Klämmingen - Mälby (Day 3); Mälby - Trosa (Day 4). Accommodation in Trosa (Day 4). Photos: Tre Små Rum. Meals apart from those specified. Additional meals are available to purchase locally - information on the various options will be given when you begin your tour. General good health and level of fitness. Participants must be able to swim 200m. 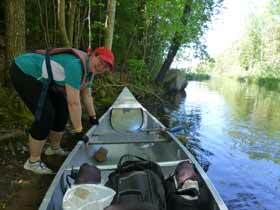 Canoeing distances 13km-17km, no previous experience required. This experience is suitable for both adults and families. Minimum 2 adults normally required. Solo adult travelling with child(ren) may also be possible depending on age and options chosen. Please contact us to discuss your requirements. The tour is self-guided but is supported with luggage transfers and for the camping night the equipment is prepared for you. Unlike our other canoe tours, the majority of accommodation for this tour is not camping. Minimum 2 adults. This experience is also suitable for groups - please contact us to discuss your requirements. Accommodation during the tour is small-scale and locally-owned. Fly to Stockholm Arlanda, Stockholm Skavsta or Stockholm Västerås airports. Travel time into Stockholm 20-90 minutes depending on options chosen. You will be met in Stockholm for the start of your tour. 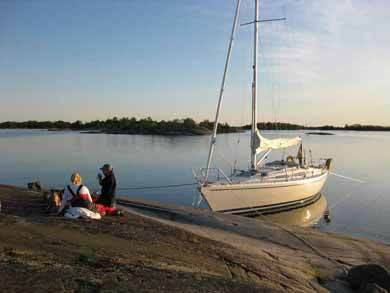 The 5-day version of Hike, Bike and Paddle Stockholm's Lakes and Islands follows the same itinerary but with a combination of hiking, cycling and canoeing.